STARZ may not have as many subscribers as HBO, but the premium cable network has several popular shows with millions of loyal followers. Today, watching these shows got a little easier for Android TV owners as the STARZ Play Android TV app was added to the Playstore. Unlike HBO's Android TV launch, the app is available for all devices out of the gate, both TVs and streaming boxes. 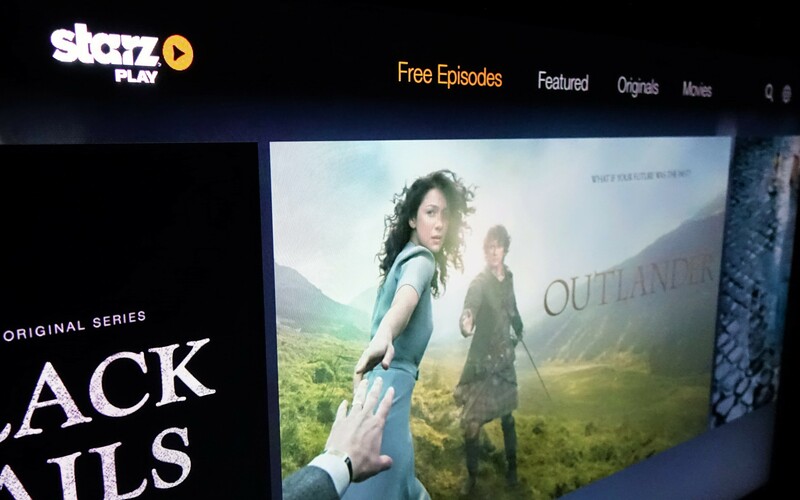 The STARZ Android TV app is much like its regular Android counterpart. 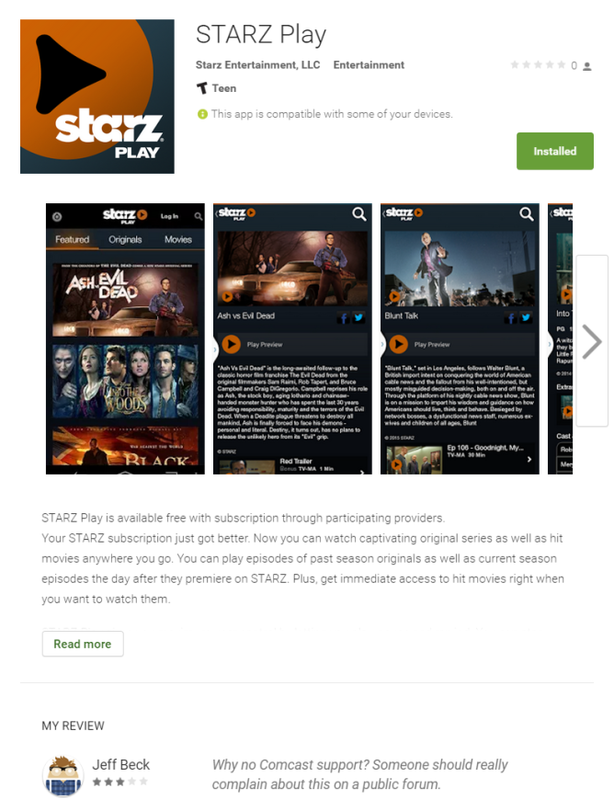 Once you sign in with your cable provider's login information you can stream all the content available to STARZ subscribers. That is, unless you are a Comcast XFINTY customer, like I am. Comcast, for some strange reason, isn't supported, which is even odder when you consider that the cable network's customers are able to log in and use the standard Android app without issue. Very odd. As you can see, there are hoards of people complaining about this inconvenience in the app's review section. Wow, I'm blown away. That is a whole lot of outrage. Someone should listen to that guy and write an article about the situation. Anyways, I hope this lack of Comcast support is just an oversight that will be resolved shortly. I mean, there just aren't many other networks that provide shows about feisty female time travelers in Scotland, and how's a person supposed to live without that kind of entertainment on their Android TV? If you would like to download the app for your own Android TV device you can grab it using the widget below or by sideloading the APK found here.